Today, the automotive rumorsphere continued to report on what we already knew: the impending arrival of a large, rear-wheel drive sedan from Cadillac. This model will be the first vehicle to utilize an all-new full-size RWD platform christened Omega. Yes, Cadillac will utilize the Alpha and Omega, what some could call the God platforms, if they wanted. What’s new to report this time around on what could be called the LTS? It’s entire development process has been given the green light, and we can therefore expect the BMW 7-Series and Mercedes-Benz S-Class hunter in the timeframe of 2015 at the earliest. As far as appearances go, chances are we will see a lot of Cadillac Ciel design cues, and perhaps even mechanical similarities as well. After all, the Ciel’s twin-turbocharged V6 engine mated to a four-mode hybrid system and eight speed transmission does more than just passively lay dormant under that beautifully sculpted sheetmetal. It runs. I wonder if there is a secret V12 in the works for this model? Or perhaps the next. Where’s JD at?!? LOL! I highly doubt a V12 has even been considered for this. 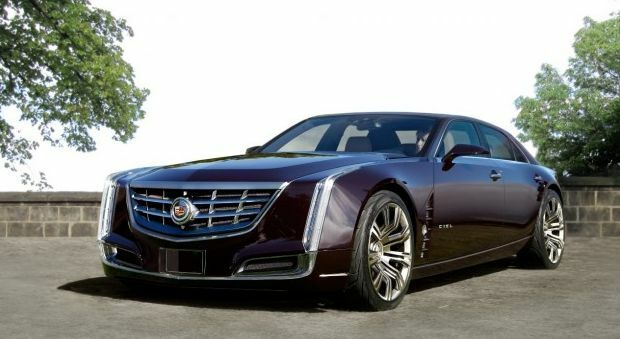 The closest thing is the Cadillac Sixteen concept that had, IIRC, the 13L(ish) V16. Wouldn’t make sense for GM to make a V12. Yea I know BMW has the 12, but it’s a matter of time before it’s gone like the M5; same goes for the S Class. GM has always been a V8 company. V12’s or twin 6’s havent been used by GM since.. the 60’s I think. A V12 really doesnt make sense now-a-days. A base 3.6 (320hp), a twin turbo 3.6 (430hp), and a V8 (500+hp), with a hybrid variant (450hp) using the TT 3.6. ..And now that I look at the figures for the 7 Series my assumption for engine choices slots in pretty much bang on with it. Not to mention, this platform is going to made with only this car in mind. There wont be platform sharing to spread the costs, a V12 would do the same, and a V12 sure as hell wouldn’t be cheap to design and engineer from scratch (not that the entire Omega platform will be). The only chance at seeing a V12 is if Cadillac is also planning a halo super car. But with the next gen CTS set to debut, the SRX will have another gen by 2016, this full size luxo in the works, the Converj Voltec, new Escalade, possible Lambda based CUV, Cadillac has enough on it’s plat. And come 2015 when this is set to launch the ATS and XTS will be ready for midcycle refresh. Have you at least seen it in person? Haha, I think “unimpressive” is the single word exact opposite of it’s reception at Pebble Beach. Elegant and sophisticated styling with a modern, yet smoothed, Cadillac edge. Certainly more art than science. wow, if the Ciel is “unimpressive” next to a run of the mill, 7 series or S class, then i don’t know what is. as for the land yacht reference, i wasn’t aware of a full size ANYTHING being anything but. whether it’s a Bently Arnage, Roll Royce, S Class, or Maybach, that’s all they are or ever will be once you get to that size. Cadillac dropped the ball when they forgot that with the size, there should also be lots of luxury and tech. it also didn’t help that around the mid 70s Cadillac was content to build to a price verses a standard. a BIG price is no object car will do well to give a serious nod to the Ciel, as well as the “16” concept. as long as GM takes the competition serious and has the intention of redefining the segment and not just joining it, they should do fine. I wish others would see this flagship as less of a reason to have “plesant memories of Cadillac’s past” and more of a reason to “kick in the S-class’ teeth”. Cadillac is trying to set a new global standard by outgunning what is already considered the world standard. You can’t do that by rolling down memory lane, or by being completely unrealistic. There won’t be a V16 or even a V12 verson of this car. Engines like those aren’t what make the S-class what it is, and it won’t make the Cadillac flagship anything more either. There will be diffterant items taken from several of the latest caddy prototypes. that said the powertrain will be the most advanced powertrain in the GM stable all options are open with new powertrains I cannot give too much out on this project but it will impress all with its looks and powertrain advancements. interior will be up to all the standards in this class of cars and more. caddy will best all in this race to the flagship leadership. design is locked and the looks are fantastic and will showcase the best in design GM has as well as show how it can lead and not follow. i think cadilliac finally hit its mark with this one and landed right next to masarati. eat your hart infiniti and lexus!!! !